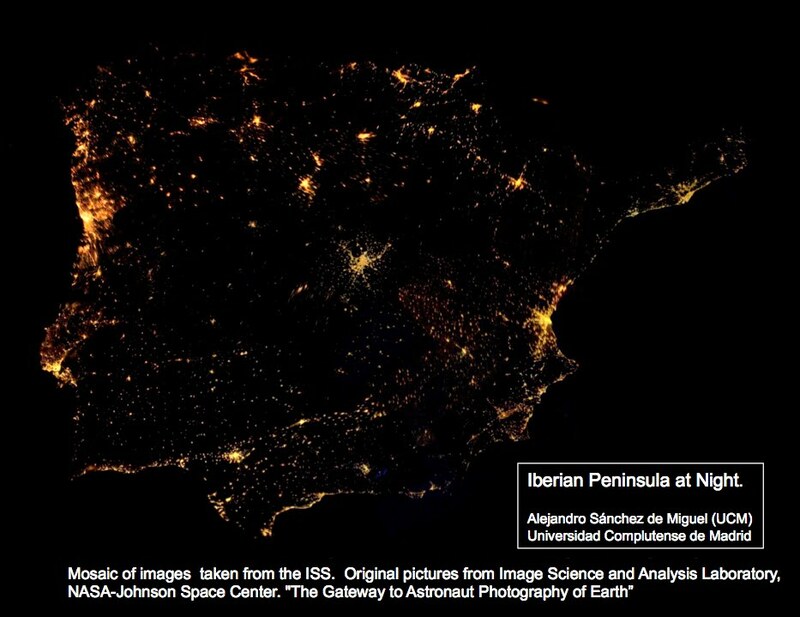 This mosaic of the Iberian Peninsula at Night was build using ISS nocturnal images taken by astronauts aboard the International Space Station (2008-2012). 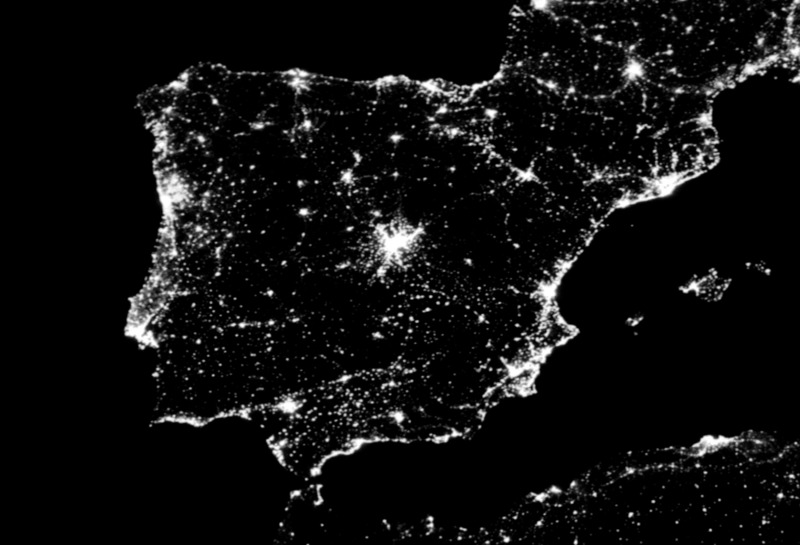 This composition, made at Universidad Complutense de Madrid with 16 individual images, provides the higher resolution night vision of the Iberian Peninsula up to now. 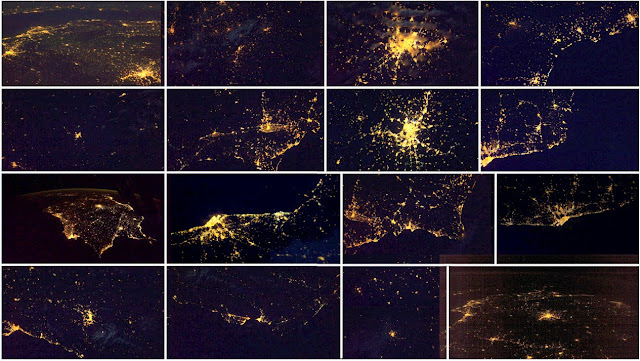 The original pictures from Image Science and Analysis Laboratory, NASA-Johnson Space Center: "The Gateway to Astronaut Photography of Earth” were reprojected and registered using our own code with free software. Previous images of the whole Iberian Peninsula were obtained by the NASA satellites DMSP and LANDSAT 5. 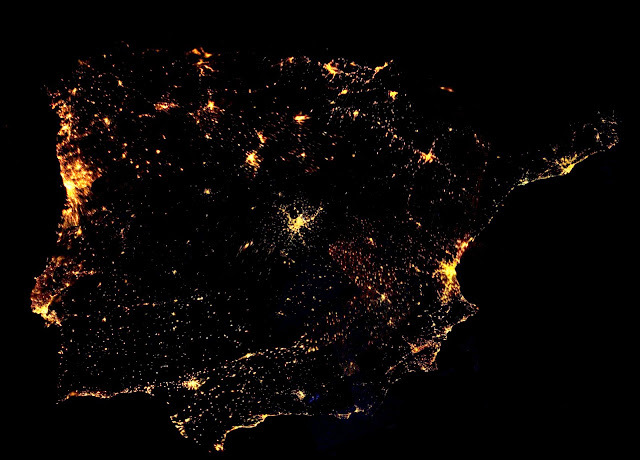 One of our main interests of our group is to determine the impact of Light Pollution on the Night Sky Brightness. This is why we are working on the calibration of ISS nocturnal images to quantify the amount of light emitted to the sky. The mosaic was built by Alejandro Sánchez de Miguel with the help of members UCM Group of Extragalactic Astronomy and Astronomical Instrumentation (GUAIX) including José Gómez Castaño, Peter Challupner, Sergio Pascual and undergraduated students M. Ángeles López Cayuela and Guillermo Martin leaded by Prof. Jaime Zamorano.